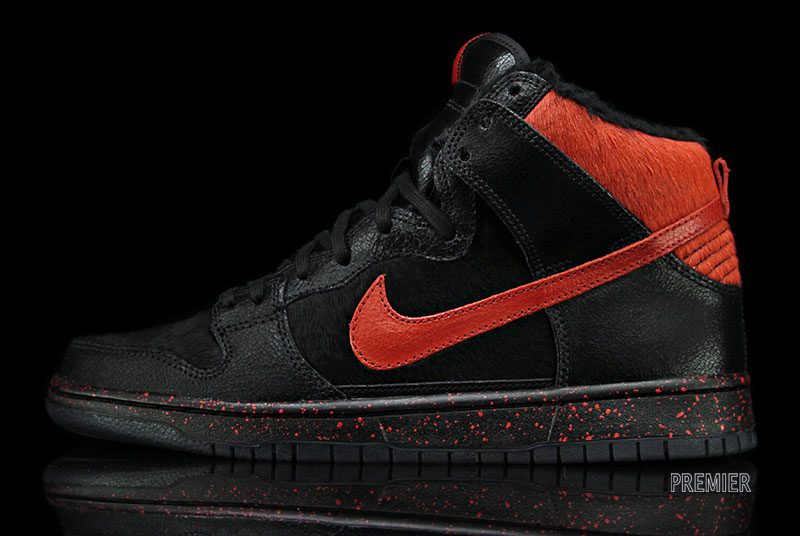 Nike SB Dunk High "Krampus"
The much anticipated holiday Dunk will release this week at select Nike SB retailers. 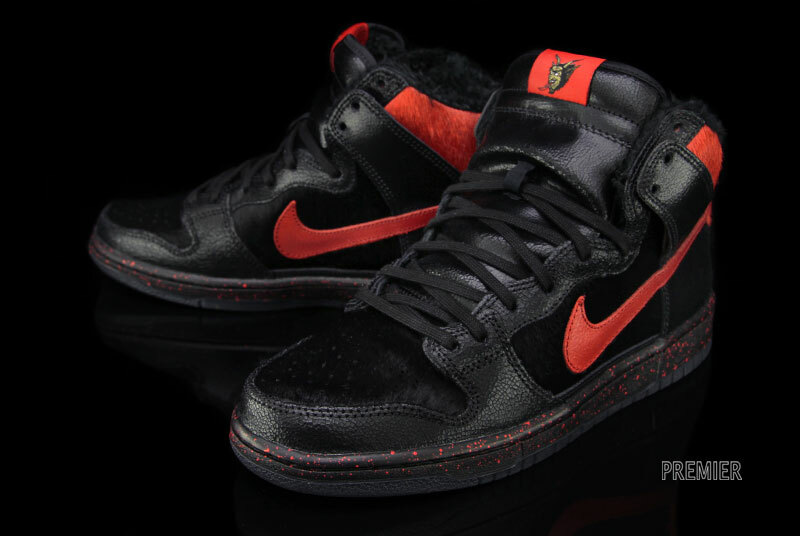 The Nike SB Dunk High "Krampus," first previewed last week, will release this week at select Nike SB retailers, just in time for the holidays. 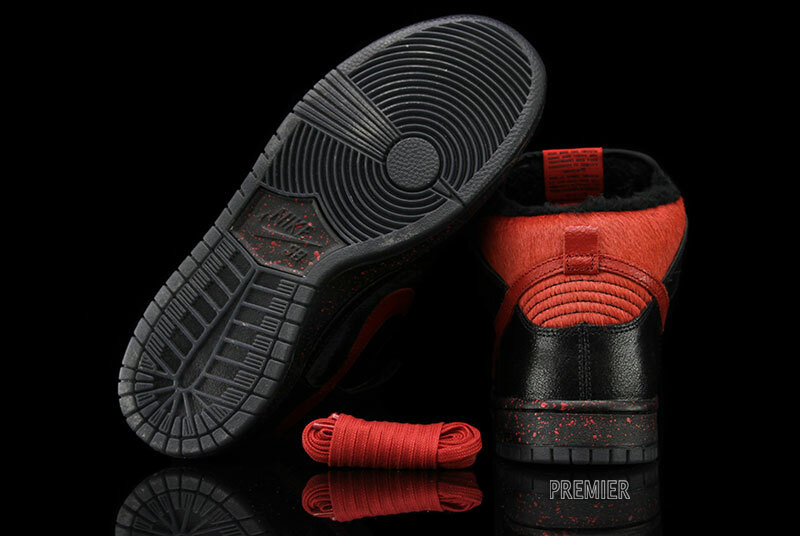 The inspiration for the "Krampus" collection comes from the mythical Krampus creature, which, according to legend, would accompany Saint Nicholas during the holiday season, tormenting and punishing bad children. 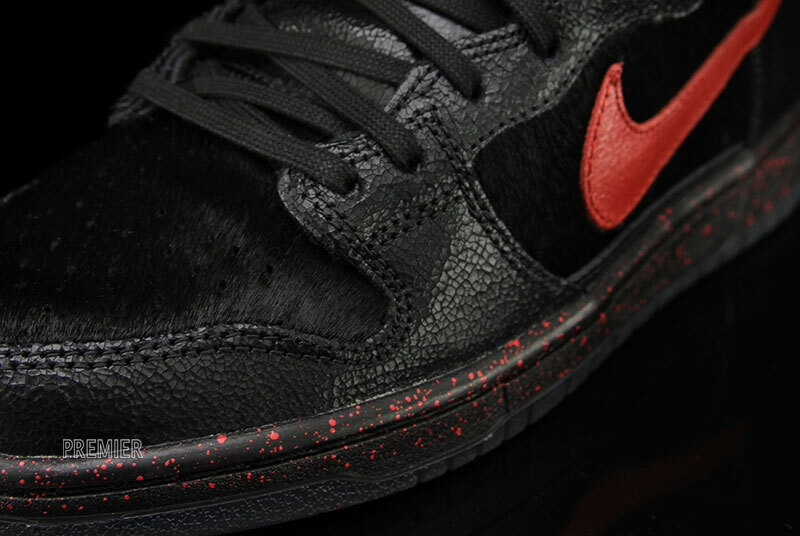 Created in collaboration with famous skateboard artist and author Sean Cliver, the Nike SB Dunk High "Krampus" brings the character to life with crackled black leather, faux goat hair and a splattered midsole. 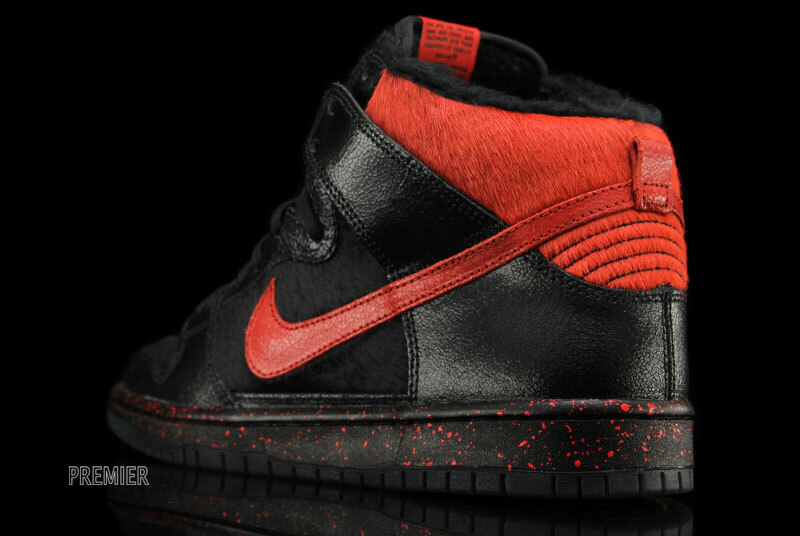 Michigan's Premier will release the Nike SB Dunk High "Krampus" on Wednesday, December 5.